Millions of Typos, Typos for Me. Millions of Typos, Typos for Free. 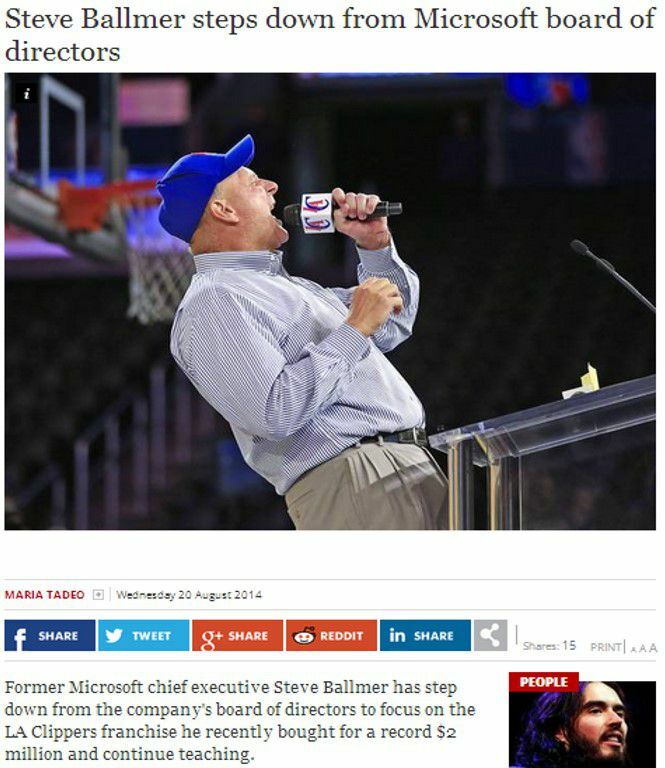 Big news recently broke when Steve Ballmer, who was the CEO of a little company called Microsoft from 2000 to 2014, stepped down from the company’s board of directors in order to pursue different interests, including his purchase of the LA Clippers. But what would have made even bigger news is what this article states: that Ballmer purchased the Clippers for a record-breaking $2 million! $2 million? Who wants to join in with me to buy the Clippers? Let’s pool our piggy banks together and move to California. The sun and sand sound quite nice, and I suppose I could learn to love basketball. It is true that a $2 million purchase of the Clippers would be a record—a record low! Ballmer actually purchased the team for $2 billion. Yep, that’s right, billion. With a “B.” Zeros mean nothing, right? What are a few zeros, anyway? Frankly, the entire sentence here makes no sense, from the word “step” (which should be “stepped”) to “and continue teaching” at the end. I had to read this a few times to understand that Ballmer is going to focus on his Clippers franchise purchase, and also teach classes. My bet is that this post was either outsourced, or was written hastily and wasn’t edited before posting. The takeaway of this is that editing is oh so important. Even if you think you’re a fantastic writer, you still need an editor. And self-editing is not okay. Just like you don’t think your own baby’s ugly, you also don’t see the flaws in your own work. When editing something that you wrote, your brain automatically fills in the blanks, and will make you think the word that should be there is actually there, even if it isn’t. It’s like an episode of Brain Games, but with much higher stakes. If you make mistakes like these, you’ll quickly lose the trust and respect of your readers—and potential clients! Don’t cut corners on content; otherwise, those few zeros that you missed could leave you seeing zeros in the future.